Neither the Santa Clara Bruins nor the Monta Vista Matadors were particularly pleased with the officiating on Tuesday afternoon. The Bruins in particular felt that the amount of exclusion penalties were heavily one-sided calls against them. Santa Clara, however, would manage to overcome the officiating and some defensive struggles to win in double overtime, 17-15. At the end of regulation, the score was 14-14. Late in the first overtime, Bruins captain Kathryn Peak picked up her third exclusion penalty, which results in an automatic ejection. It didn’t appear she even touched the opponent nearest her in the pool, but, nonetheless, she was gone from the game. On the ensuing power play, the Matadors tied the score 15-15, sending the game to a second overtime. 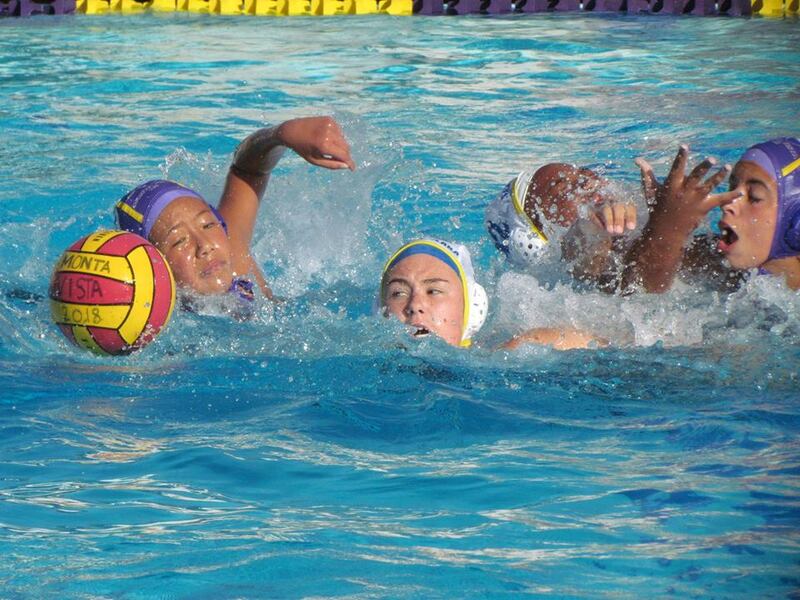 Without Peak, who is the Bruins fastest swimmer, the Bruins lost the race to the ball to open the double overtime. Fellow captain Mariah Walker, though, stepped up with two strong defensive plays and scored twice in the second extra session. Walker’s second goal of the final overtime session came from over 20 meters away with the game clock and the shot clock ticking down. The game clock had about 12 seconds remaining and the shot clock two seconds when she lofted a shot just over the goalie’s outstretched arms and underneath the crossbar. Walker and Peak typically get the Bruin’s share of the attention along with Maya Sugiyama for Santa Clara, but coach Bumbaca wanted to point out the improved play from freshman Emily Wood. With the win, the Bruins improve to 7-3 and keep pressure on 8-2 Harker. Santa Clara and Harker split their season series this season and it is possible for the Bruins to catch Harker for second place in the El Camino League standings. 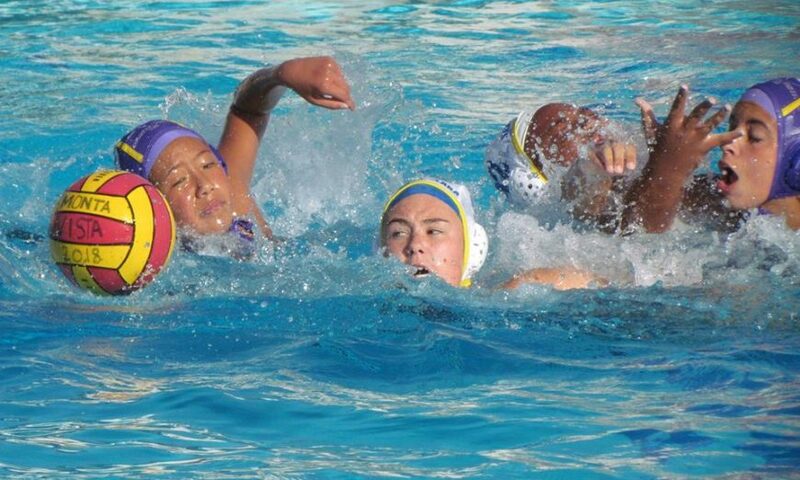 Santa Clara will next jump in the pool at home against Milpitas on Oct. 11.